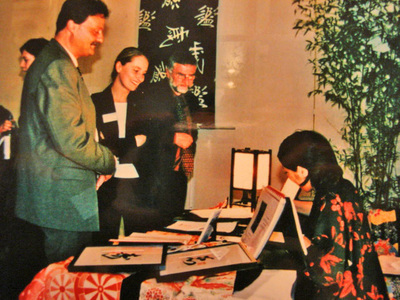 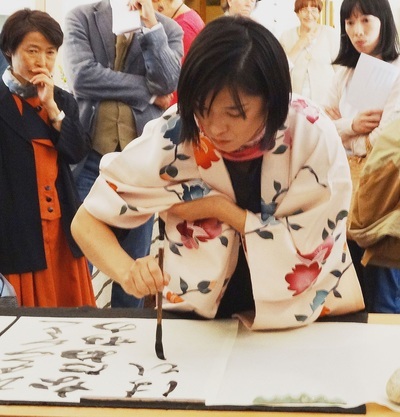 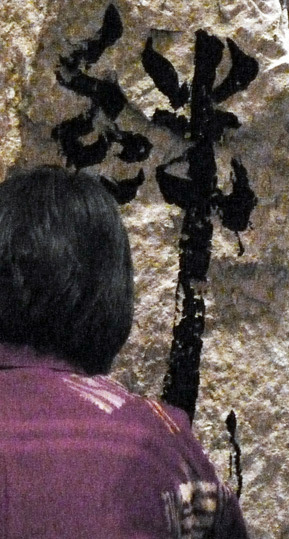 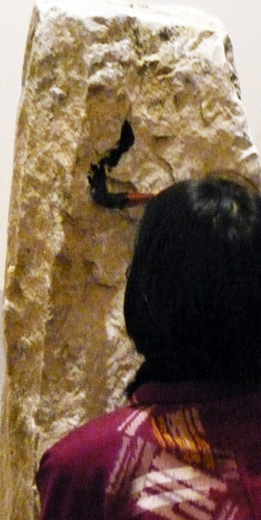 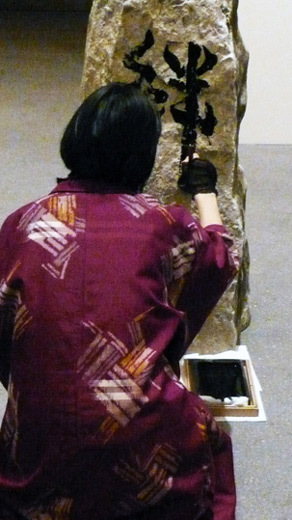 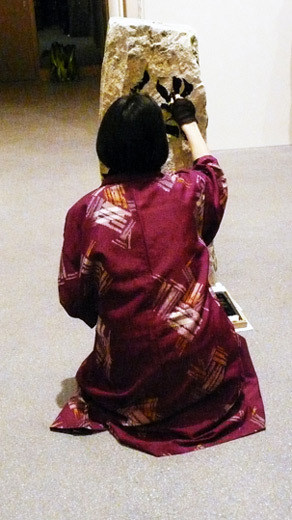 "Seeing" the process of this art is the best way for an audience to understand and to appreciate the beauty of Shodo. 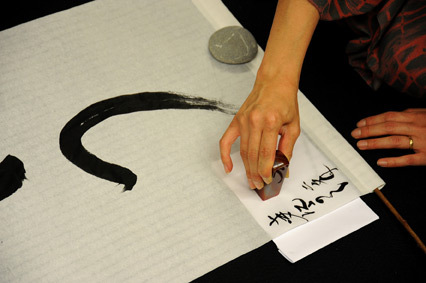 Experiencing the total stillness, pure concentration and the fine flow of the brush movement is very special. 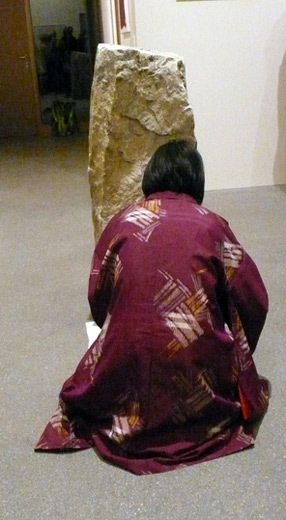 One does not experience such moments in our modern life. This jewel of the moment is unforgettable and incomparable. 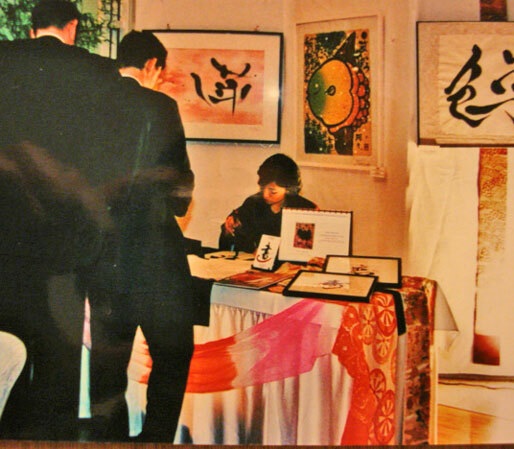 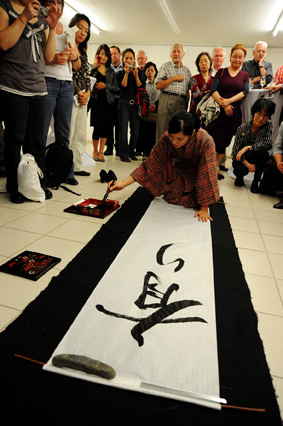 My very original and popular calligraphy showcase is called "Name-Shodo". 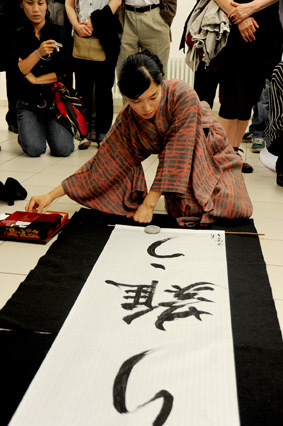 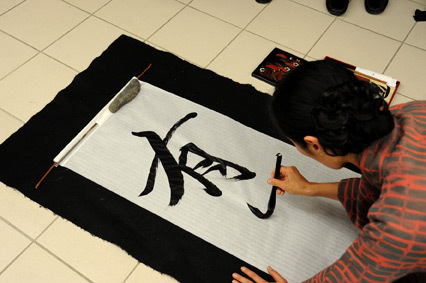 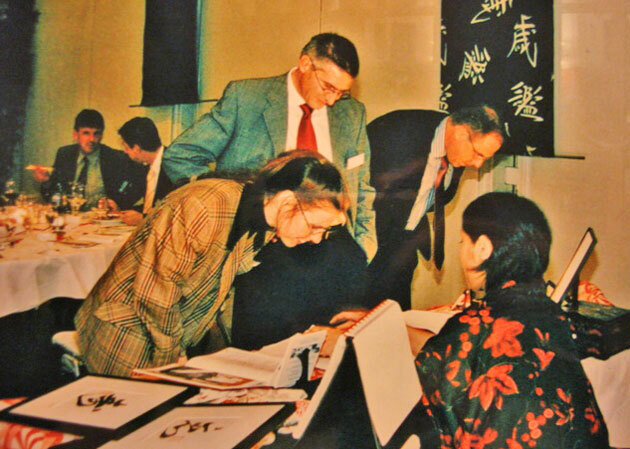 I present and do calligraphy a client's or their family's name in Japanese in presence of the person.